Southpaw Dance Company | Southpaw is the new Associate Artist at Dance City Sunderland! Dance City has announced that ourselves and Braena will be associate artists in their newly-opened studios at the Fire Station, Sunderland. 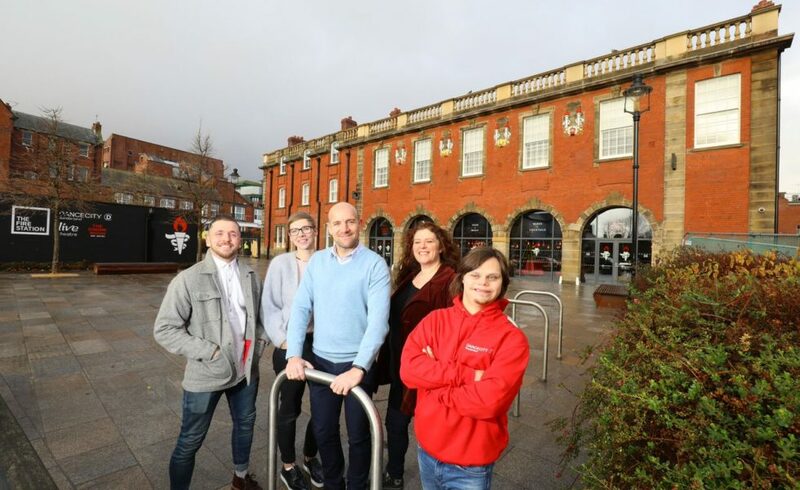 We will work with Dance City Sunderland to create new work and will also offer a varied programme of public dance classes which will take place in the purpose-built studios. Braena is a community dance and here performance company co-directed by disabled and non-disabled dancers Anna Hall, Tracey West, Brent Marriner and producer Louise Brown. They create exciting innovative dance performance work and facilitate inclusive movement based workshops in the community often alongside artists from different disciplines including music, visual art and film. Braena is a Sunderland based company and are excited to have their new base in Dance City Sunderland. During this time Braena will be establishing an inclusive youth dance company, teaching classes and creating exciting new performance work. < Southpaw wins Creative Fuse North East funding!